WITH RELEVANT INFORMATION, PROVIDED IN A “NO SALES PRESSURE” ENVIRONMENT, WE BELIEVE THAT ANYONE CAN MAKE SOUND FINANCIAL DECISIONS. Estate Planning Solution’s mission is to help business owners, families and individuals, minimize taxes, reduce expenses, and become stronger financially by making decisions within the context of a personal, written financial and retirement income plan. Since 1994, our goal has been to help business owners, individuals, and families become stronger financially by helping them make appropriate financial decisions and select relevant financial products and services to implement them. Addressing your financial concerns and providing a “macro” (am I doing everything that I should be doing?) and “micro” (is what I am doing appropriate for me?) assessment of your financial picture. Contact us today to schedule a no cost, no obligation consultation. For most workers, their 401(k), 403(b) or 457 plan is their largest retirement asst. And, for many, knowing how to allocate monies to the various plan options can be a source of frustration. The problem with 401(k)’s and similar plans, from my perspective, is that their success is linked to market growth. But, the market does not always go up. We have partnered with Active 401K, who provides personalized allocation recommendations for participants in 401(k)’s and similar plans. Here is how it works: participants fill out a questionnaire based on their age, goals, and risk tolerance, plus certain market indicators, they receive specific allocations to the available investment options in their plan. If you have any questions or require assistance, call our office at 623-537-3657. Remember; investing always involves risk of loss and past performance is no guarantee of future results. Jim is one of the owners of Estate Planning Solutions, Inc., a family wealth building and management firm that offers products and services to the public based on suitability to the individuals’ circumstances, resources, goals, and objectives (EPS – RIA, LLC). 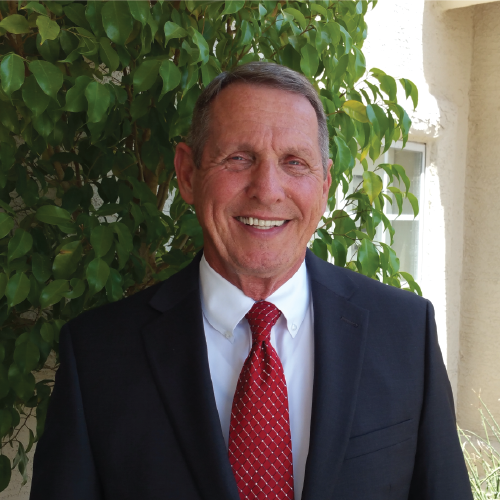 Jim has over 40 years’ experience in the financial services industry as a life insurance agent, employee benefits consultant, property and casualty insurance agency owner, tax preparer and certified legal document preparer. He is a Registered Investment Advisor, Certified Financial Planner (CFP®), a licensed insurance agent and a Certified Legal Document Preparer (wills, trusts, quit claim deeds, LLC’s and corporations). Jim is a people helper and problem solver and has helped hundreds of families and business owners plan for their financial future. Jim has been married to Mary for 41 years and has 5 children. He is an active member at Pure Heart Christian Fellowship and a past-president of the Northwest Christian Business Networking Chapter. Jim is a Chaplain and enjoys softball. John grew up in southern Arizona, then attended Baker University in Baldwin, Kansas where he added four years of college basketball and baseball to his studies. After earning his Bachelors degree, John worked over 25 years in the uniform and textile industry in sales and sales management. He served as national sales manager for a furniture manufacturer in Scottsdale. Before joining Corporate Chaplains of America earlier this year he spent the last 8 years overseeing 5 different ministries at one of Phoenix’s mega-churches. John has been married to his lovely wife Pam for 31 years, has six children and ten grandchildren. 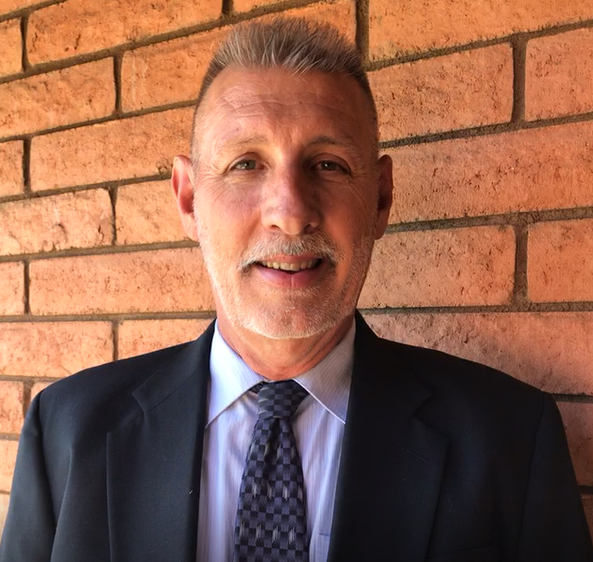 An avid sports enthusiast and participant, he played competitive city league basketball into his early 40’s until two knee replacements forced him to concentrate on golf, reading, watching sports, and spending more time with his family. John is Medicare Certified and licensed for life insurance, annuities and long-term care. He is driven to provide outstanding customer service, educating clients about the ins and outs of Medicare planning, and showing them creative ways to use life insurance in their financial plans and address the financial risks associated with long-term and frailty care. Certified Financial Planner, Randy Huston, has a B.A. in Business Administration and a Master's Degree in Social Science. His unique perspective in the Charitable Trust field stems from his background as a Planned Giving Officer, a co-owner of Yellowstone Trust Administration, Inc. and a CFP ®. He teaches financial advisors how using charitable trusts can be an integral part of a clients’ financial plan. Get your Own Financial Action Plan Today! It is never too early or too late to start building your wealth; saving for your future. Whether you have a little or a lot to work with, we have been helping clients invest money in ways for over forty years. We can help you create predictable streams of income using a variety of investment tools including the stock market, alternative investments, real estate, life insurance and annuities. Why not create your own “personal pension plan” to create future income for yourself and your family; a portion of which can be contractually guaranteed. Wealth building decisions are easier when made within the context of your own written financial plan. EPS has our own proprietary investment management system and is able to contract with third party investment professionals to manage portfolios of varying objectives and sizes. Call our office at 623-537-3657 to schedule your no cost, no obligation consultation. Life insurance, an essential element of most financial plans, has many applications and is able to solve personal and business needs for money in the event of untimely death. Where else can one write a check for $250 in return for a company’s promise to pay your beneficiary $250,000 if you die during the next year? There are four basic types; term, whole life, universal life (including Indexed Universal Life and Hybrid Life) and variable life. Each type has its variations. Universal life, for example, has models that range from providing the lowest cost assured protection whenever you die, to those used to build wealth for the future by linking the growth of your money to the stock market without stock market risk. For retirees, using Hybrid Life to pay for long-term care type expenses has become popular today because it solves two of the greatest challenges found in traditional long-term care insurance policies (call us for the answer). Which is “right” for you? It depends. Answering that question is a complex but not complicated process that takes far less time than you might think. It starts with a “needs analysis” and ends with you selecting the type of policy that best fits your budget and meets your needs from a financially stable company able to keep the promises it makes to you years into your future. Because we are independent, we are able to offer policies from a wide range of financially viable companies. You will spend thousands if not hundreds of thousands of dollars on insurance over your lifetime. Doesn’t it make sense to get the facts before making a purchase that will impact your planning for your family or your business for the rest of your life? Are you a golfer, boater, hunting or fishing enthusiast? Do you own property you want to protect from risk of loss? Do you drive an automobile or engage in other activities that could subject you to public liability? How much insurance is enough? We can help you identify and assess your risks of loss and choose limits of liability or property coverage that may be appropriate for you. It is one of the areas of your finances we consider when helping you establish your own written financial plan. Many people work hard and save to build a “nest egg,” hoping it will be sufficient to last for twenty to forty years or more during their retirement years. NASA had a written plan that addressed every possible contingency when we sent a man to the moon and back. Retirement is an undertaking every bit as complex as putting a man on the moon and will span many more years. Do you have a written plan that enables you to look into your retirement future year by year and be assured that your money will not run out before you do? We believe that a sound retirement income distribution plan is the key for a successful retirement and we can show you how Annuities may fit into your planning by linking future interest earnings to the growth of the stock market without stock market risk and providing contractually guaranteed income for the rest of your life. Do you know your income distribution plan? Do you have a 403(b), 401(k), 457, or another type of employer sponsored plan? Are you comfortable choosing your investment allocations or strategy in a plan that represents most people’s largest retirement asset? Would you like quarterly advice for investing your 401k (or similar) plan that takes into account your age, other assets, risk tolerance and goals, then suggests which options in your plan to choose and what percentage of your money to allocate to each. We can help! You can call our office and let Mary or Patsy schedule a no cost, no obligation consultation or go to Active401k.com and enter the promo code, EPS-ASAVR. Who needs an Estate Plan? Everyone who owns anything. Concerns range from avoiding probate or conservatorship to controlling distributions to beneficiaries after your death. Do you have a written plan for the management of your resources if you become incapacitated during your lifetime or for the efficient, economical distribution of your estate to your heirs at death? Jim Tewalt is a Certified Legal Document Preparer who has drafted hundreds of Living Trust Portfolios for clients who are still alive, have died or endured incapacitation. He is not an attorney and cannot provide legal advice or grant attorney – client privilege, but he can educate you, provide information necessary to you making informed decisions. Are you considering starting your own business? Setting up a Limited Liability Company (LLC) or creating an Operating Agreement for an existing company? Would you like to know the value of your company? Would you like to save money on property taxes, credit card processing fees, utilize little-known business tax credits? Once an area of help for the very wealthy, our clients come to us and find help in many non-traditional areas of their finances because we treat them as family. We have helped them by providing information to negotiate car leases, find reliable repair persons, plan funerals, settle estates, return time shares following the death of one spouse, and other problems. We have negotiated payment for denied claims and helped clients find legal representation when needed. We have helped determine the federal estate tax liability of large estates and suggested ways to minimize or eliminate those taxes, and shown clients how to sell appreciated stocks, real estate, businesses and other assets without losing significant profits to income taxes. If you have concerns or questions in any of these areas or any other. Call our office at 623-537-3657 to schedule your no-cost, no obligation consultation.